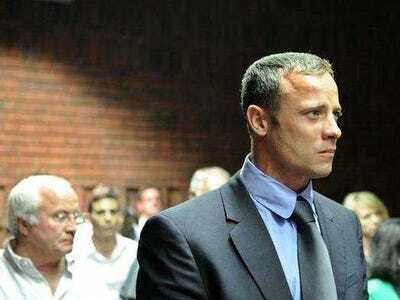 A woman who’s arguably South Africa’s most experienced criminal profiler will not be testifying in the Oscar Pistorius trial, The Independent reports.In yet another bizarre twist in the case against Pistorius, it turns out that South African criminal profiler Micki Pistorius is actually the aunt of the famous sprinter, according to the Independent. Pistorius, who’s accused of murdering his model girlfriend Reeva Steenkamp on Valentine’s Day, was granted bail last week and is awaiting trial. Micki Pistorius has been recognised as one of the world’s “foremost psychological profilers,” according to her website. Her website says she was the first profiler tapped by the psychology unit of the South African Police Services, and that she wrote the first doctoral thesis in South Africa on serial killers. The 52-year-old regularly attended her nephew’s hearings but hasn’t commented on the case, according to the Independent. Head over to the Independent to read more about Micki Pistorius.